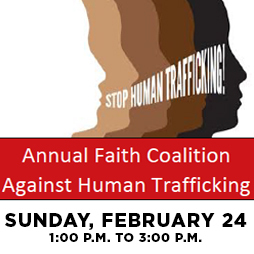 Human Trafficking is the fastest growing illegal enterprise in the U.S. Join us for an interfaith coalition meeting and connect and empower leaders in the faith community to build efforts to fight against human trafficking. The mission of the Abolition of Human Trafficking Initiative is to assist persons trafficked for the purpose of forced labor and slavery-like practices and to work toward ending all instances of such human rights violations. Our activities are interconnected by a client-centered approach that seeks to empower survivors of trafficking to fully realize their individual potential while advancing the human rights of all trafficked survivors. CAST is providing the momentum for these survivors to plant the “seeds of renewal” that will give them the freedom to grow in the direction of their potential and dreams. At CAST, we believe that policy, grassroots advocacy and outreach can only be as good as the direct client experiences in which they are based. For this reason, CAST begins all of its policy initiatives by engaging our main constituents – survivors themselves. 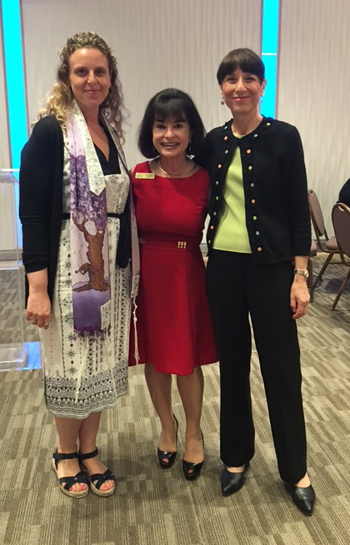 Read more about the legislation the Caucus of Survivors is focusing on this year. Through broad community outreach on local, state and national and international levels – via advocacy, the media, public education, leadership development, and coalition building – CAST spotlights the issue of trafficking so that more victims will be free and empowered. Participation in state and national coalitions committed to affecting change by informing elected/appointed officials about issues affecting trafficking represents a return to our roots wherein we recognize that there is a deep intersection between policy and direct service. By fully developing its advocacy arm, alongside the delivery of services, CAST is realizing the fullest expression of its mission by impacting the policies that directly affect those we serve and their ability to create self-sustaining lives.